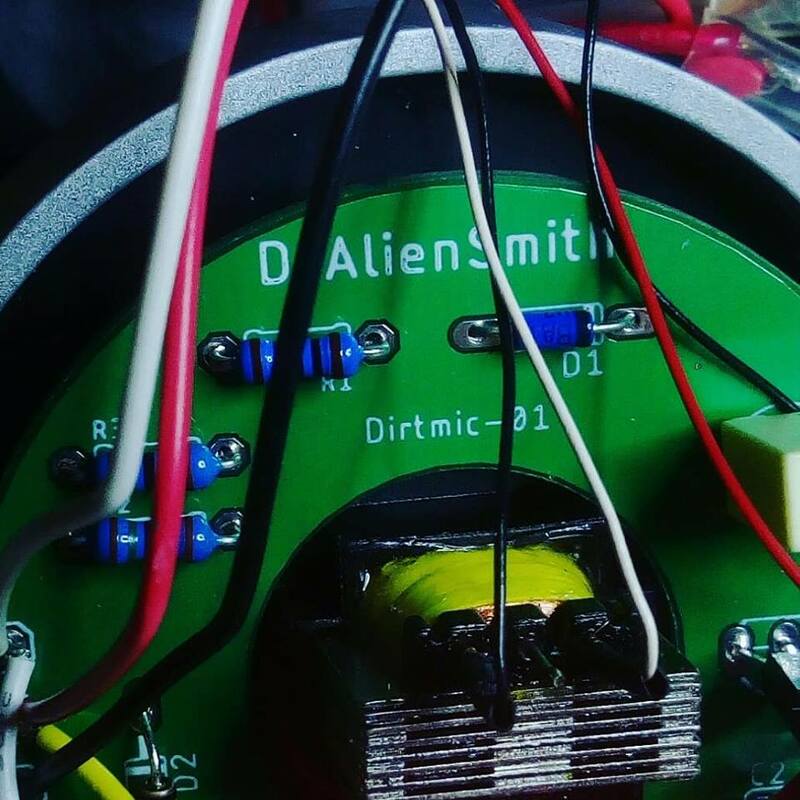 Al Smith, professionally known as Dr Alien Smith, is a recording engineer from Perth who’s carved out a little niche building custom microphones and selling them via a Reverb store. His latest microphone creation is aptly named the DirtMic-01, and features a wild distortion circuit built into a microphone. Rather than have us tell you about this unusual creation, we got inside scoop with the doctor himself, as well some background on how he found himself throwing distortion circuits into microphones. G’day Alan, can you walk us through what exactly the DirtMic-01 is, and what you set out to achieve with it? Sure, the DirtMic-01 is distortion effect microphone. It’s a dynamic mic (Superlux D112) modded with a built in distortion pedal circuit. The circuit is phantom powered and transformer balanced so you just plug it in to any audio interface, mixer or preamp and you have instant distorted sounds for recording. My original intent was to try and simplify getting distorted sounds in the studio, especially for vocals. I much prefer a singer to sing with an effect rather than slap it on later with a plugin, and setting up and testing complicated vocal/pedal/amp chains wastes a lot of studio time. That idea of getting bogged down in technical issues and taking time away from the creative part of recording always frustrates me. That’s what kickstarted the idea in my head. 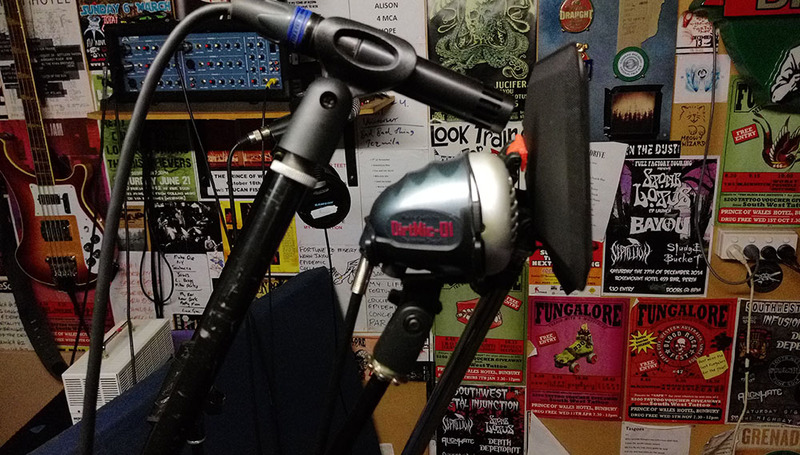 Once I had my final prototype up and running I was really happy to discover that using the DirtMic-01 on just about anything was really fun and I was getting great distortion sounds in the studio on all sorts of instruments, not just vocals. Who would you recommend the DirtMic-01 for? 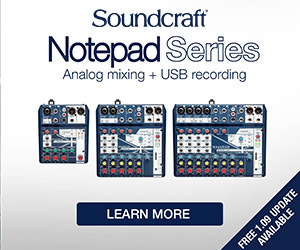 I think anyone who is into creative recording will enjoy using it. I’ve had great feedback from studio people, songwriters and sound designers who have all bought the DirtMic-01 and enjoy its simplicity as much as anything else. I’m often surprised in the studio by how it can add something different and unexpected to a sound, whether its a subtle lofi effect or a full blown frenzy of distortion. How did you come to be building and modifying microphones? 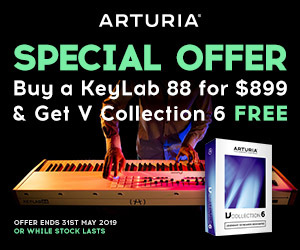 I’ve owned and run my own recording studio in various forms for over 20 years so I learnt fairly early on that if I did my own basic maintenance and repairs on my gear, I saved a lot of money. That gave me a very basic understanding of the workings of mics and what goes into them. A few years ago my friend Max Ducker from Cellar Sessions Recording Studios in Melbourne released a great product called The Cantstandya Mic Mount. Seeing him turn his idea and concept into reality really gave me the inspiration to try doing it myself. Have you done any custom microphone builds? I haven’t yet but part of the original idea of the distortion microphone was to put together a list of available mics that I could retro fit with the DirtMic circuit. That way people could send me mics that they have lying around and get them turned into custom DirtMics. I’m still keen on that idea but I haven’t put it into practice yet. What’s next for Dr Alien Smith? Any new projects on the go? I’m currently researching a few new ideas as well as looking at ways to expand on the DirtMic concept. The holy grail of vocal distortion is definitely a way to use it in live performances without lots of squealing feedback so I’m tinkering around with that in mind as well as a few other things. 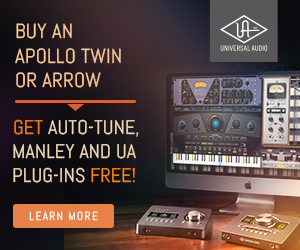 You’re a recording engineer by day – any notable recordings we can hear your mics being used on? Yeah I’ve been recording bands since 1991 and its been my fulltime job since 2003. The DirtMic-01 came out in August 2018, and I’ve used in on a lot of sessions, most of which are being released very soon. First off are Rinehearts who release their debut album Cant Do Nothing on Cheersquad Records on May 10. 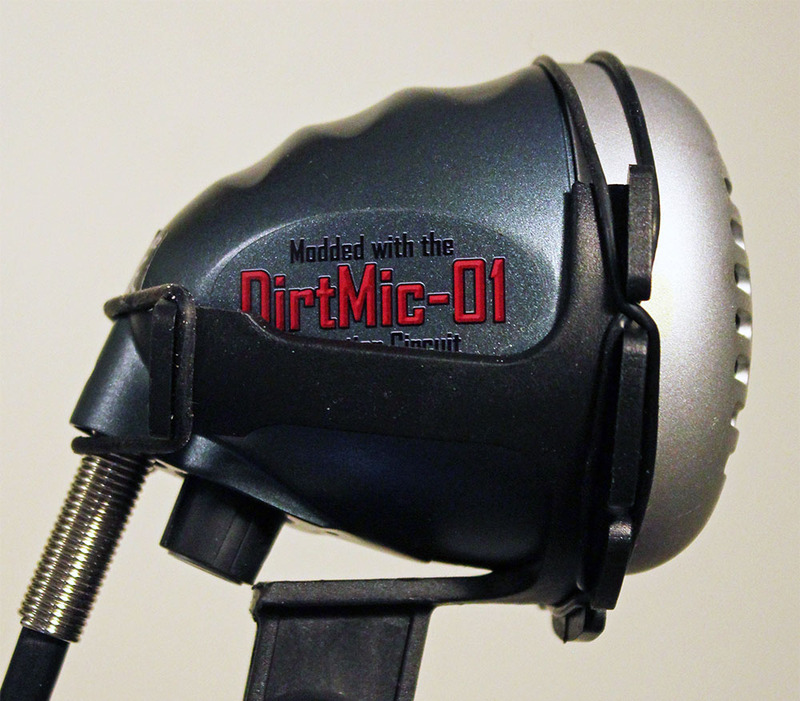 The DirtMic-01 features on vocals (blended with an SM7b) and on drums. I actually used this session to create one of my YouTube demo vids ‘This is How the DirtMic-01 Sounds on Drums’. Also coming out soon is a stoner/doom album from Witchcliff called Růst which has the DirtMic-01 on all vocal tracks, plus a 7 Inch from dbeat/crust punk band Warcycle coming out on Televised Suicide Records which has the DirtMic-01 on all the guitars.